If You’re Hurt on Public Transit, Can You Sue the MTA? New York’s Metropolitan Transit Authority (MTA) operates one of the largest mass transit systems in the world. Each day, 8.6 million people use the MTA’s trains, buses, and subway lines to travel around five boroughs of New York City and throughout Dutchess, Nassau, Orange, Putnam, Rockland, Suffolk, and Westchester Counties. With so many people using mass transit in America’s largest metropolis, there are bound to be accidents. In 2016, 168 people were hit by New York City subway trains, resulting in 48 deaths (the lowest total in five years). While a small percentage of these deaths were suicides or acts of violence, the vast majority were determined to be unintentional, or accidental. In fact, between 1996 and 2007, the MTA paid $1.1 billion in settlements for incidents ranging from personal injury to property damage. Common public transit accidents include being hit by buses or trains, suffering amputations, falls, electrocution, and burns from contact with subway tracks. Can You Sue a Public Transit Company? Yes, you can sue a public transportation company, but municipal institutions have a certain amount of legal protection. One major difference between filing a personal injury claim against a private company versus a claim against a municipality, or government agency, is the statute of limitations. Generally, in New York, a plaintiff has three years from the date of injury to file a personal injury claim. But when suing a government agency, you must file a Notice of Claim with that agency within 90 days of the injury. This gives the agency in question 30 days to request a pre-suit hearing and begin settlement negotiations. If you choose to pursue further legal action, you have only one year and 90 days from the date of the injury to file a lawsuit. To ensure that your personal injury or wrongful death claim is filed within New York State’s stringent time limits, it is recommended that you consult a qualified auto accident attorney as soon as possible. 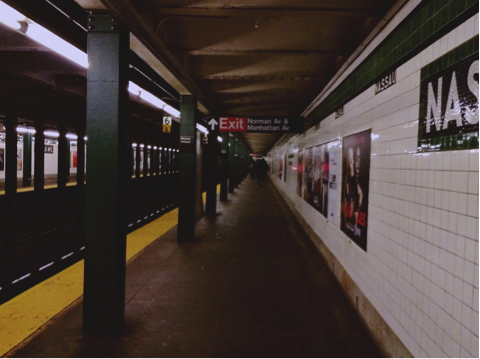 Who Can Be Held Liable for an MTA injury? First, you have to determine whether the mode of transportation you were on at the time of the injury was public or private. If you were injured in a yellow cab or while taking a car service, you would be dealing with a private company, and would need to file against that company. Government agencies and municipalities employ their own lawyers whose job it is to protect them against lawsuits. To have a successful NYC personal injury claim against a powerful and well-funded entity like the MTA, you’ll need an experienced legal team fighting on your behalf. The Case Handler team at Pollack, Pollack, Isaac & DeCicco, LLP will take a personal interest in your case, and work diligently to ensure you get the compensation you deserve. Call 929-223-4195 for a free consultation.